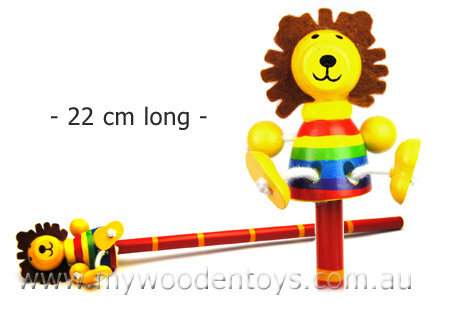 Lion Wooden Pencil is a sweet little pencil with a very happy lion perched on the top. This pencil is grey, made of wood and 22cm long. The lion has a felt mane and his feet and arms are held onto the body with strong cotton string. This is a very handsome lion with a lovely stripped rainbow coloured body. We like this because: "A very sweet well made toy"